Pokerstars launched back in March of this year and we saw New Jersey’s regulated online gambling market broke another revenue record because of the brands first contribution. The New Jersey Division of Gaming Enforcement (the DGE) licensed sites reported an 18% increase compared to the same month back in 2015 and in excess of $800k higher than February 2016. This was pretty good going as Pokerstarsnj.com did not officially launch until the end of March (21st) with the PokerStars site generating approximately $598k in poker revenue pushing the total poker take up 10.5% over the month of March in 2015. Casino revenue was slightly up as well to $3.19m. So what went wrong as the honeymoon period appears to be truly over? April showed that average players fell one sixth off since the sites highly publicized launch. May showed that New Jersey’s regulated online gambling market had another month of revenue records bringing the total to four, whilst stats showed that PokerStars New Jersey failed pitifully to maintain any momentum it had. 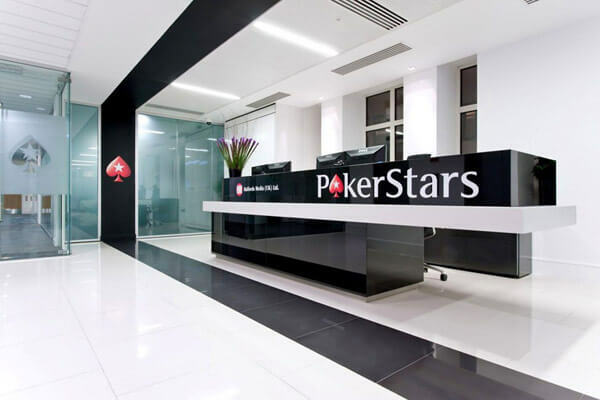 PokerStars still led all of the other online poker operators, but the figure was $30k less than Aprils number and Resorts overall revenue dropped half a million from $3.5 million in April to just under the $3 million figure in May. Obviously when PokerStars launched it boosted the whole market by 20% with PS enjoying the bulk of the players pushing WSOP/88 into second slot and Borgata/Party Poker back into third position and this was to be expected. Once the hub-bub had died down and the promotions of the World Series of Poker was initialized then WSOP/888 began to come back and once again surge into the market. The end of June figures showed a decline in the overall market of 20%, some of which can be attributed to seasonal downturns yet PokerStars dropped 32% from month to month. Cash game traffic also remained static for PokerStars whereas WSOP/888 promotions continued to give positive results. Taking into consideration that New Jersey does not have a mega poker population, the poker population that they do have were initially excited to be able to enjoy the site again. The changes to the VIP program had really angered the high-volume and high-stakes players and had put a lot of people off as did the focus of PokerStars onto the recreational player, whilst PokerStars rivals had already figured out a way that worked for the players of New Jersey with the consequence being that many players stayed loyal to WSOP/888 and PartyPoker/Brogata. Hosting weekend activities at Resorts and bringing their top pros there during the launch period plus having a lottery style Spin & Go’s were very successful promotions, but saying that if you look at the limited potential for new players these gestures made by PokerStars were simply not enough. Gambling is a deeply rooted part of our psychology and poker continues to evolve and grow in scope and more people enjoy the game through their mobile devices, televisions or computers, and as the popularity of the game increases alongside the advancement in technology so does the opportunity to play at top quality online sites like NetBet that offer players a safe and secure environment in which to play together with some exceptional bonuses and promotional offers. Sites provide the poker lover with many variations of their favorite games including Live Games which bring the casino right into your living room via the use of webcam. Now you can choose to play a hand whenever or wherever you choose as long as you have an internet connection.